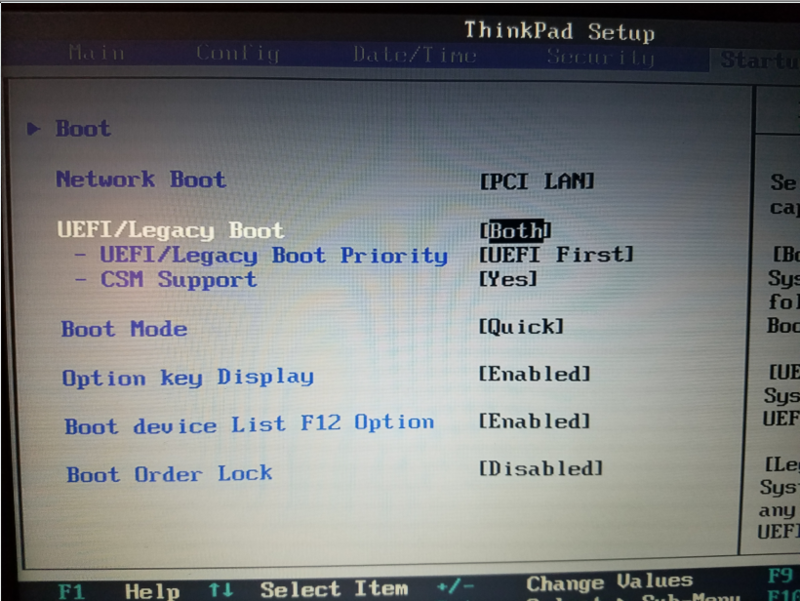 How do I make Windows 7 work properly on a Lenovo t470? I have a Lenovo thinkpad t470 (type 20HD, 20HE) for a couple of years now. It came preinstalled with Windows 10. I have recently installed Windows 7 Pro 64-bit on it, because I am dissatisfied with the high memory usage of Windows 10 and the computer had become sluggish even after factory resets. 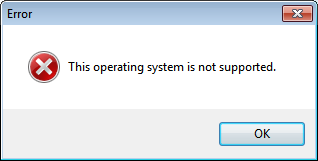 In general, installing Windows 7 has resulted in it performing faster and using less hardware resources; however, the entire process has been fraught with snags, and I've come across one I cannot get past. The snags I've successfully handled on my own include the fact that to even install Windows 7 I first had to manually add USB 3.0 drivers to the disc image on my bootable USB, and that to connect to the Internet I first had to manually add drivers for Ethernet and Wifi. It pops up whenever I try to play games, such as League of Legends. I have let Windows Update run insofar as it will on its own (it gives me a nebulous message after installing 1.1 GB across 136 updates that my computer is made for the latest version of Windows rather than 7), and I have manually downloaded and run the DirectX installer. 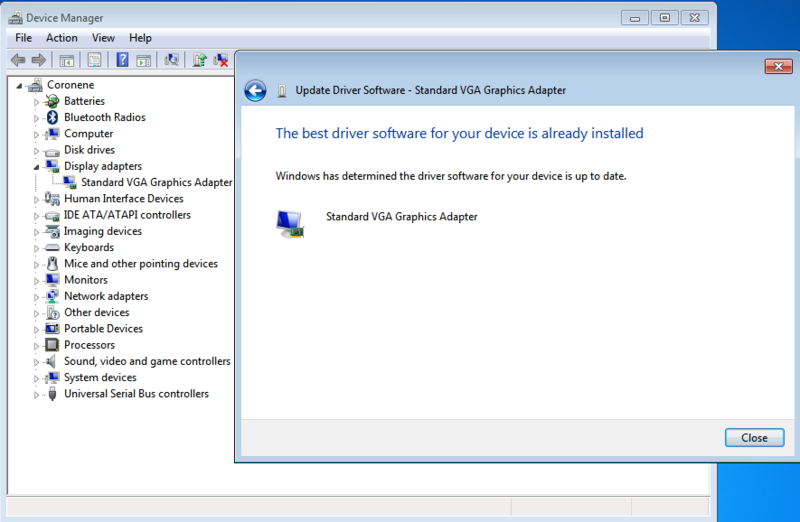 Device Manager claims my "Standard VGA Graphics Adapter" is fully updated - https://i.imgur.com/4AGEmjd.png - and when trying to install the graphics drivers for the Intel HD 520 integrated graphics that this machine uses, I am told by the installer from Intel that the computer is not compatible. And thus this question. I'm sure there's some non-standard way to make this work, but I know nothing about jerry-rigging code and drivers and version compatibility and whatnot to make things work. Hopefully one of you folks can figure this out for me. In addition to solving this current problem, I'd appreciate any advice going forward on foreseeable issues that will arise as a result of trying to get Windows 7 to run properly on a computer apparently designed for Windows 10.
edit: Part of the issue seems to be that the integrated graphics isn't even recognized by the Intel Driver & Support Assistant as anything other than a generic, "Standard VGA Graphics Adapter". Worth noting is the computer has an i5-7300U processor. Literally as simple as copying the code from the Windows 10 section of the driver INF to the Windows 7 section. Did you install the Intel HD 520 drivers from Intel themselves? They fixed my problems when I tried to get a T470 working with Windows 7. Not the answer you're looking for? Browse other questions tagged windows-7 drivers graphics-card lenovo-laptop or ask your own question. What exactly is my graphics card doing?